This example shows how to construct discriminant analysis classifiers in the Classification Learner app, using the fisheriris data set. You can use discriminant analysis with two or more classes in Classification Learner. 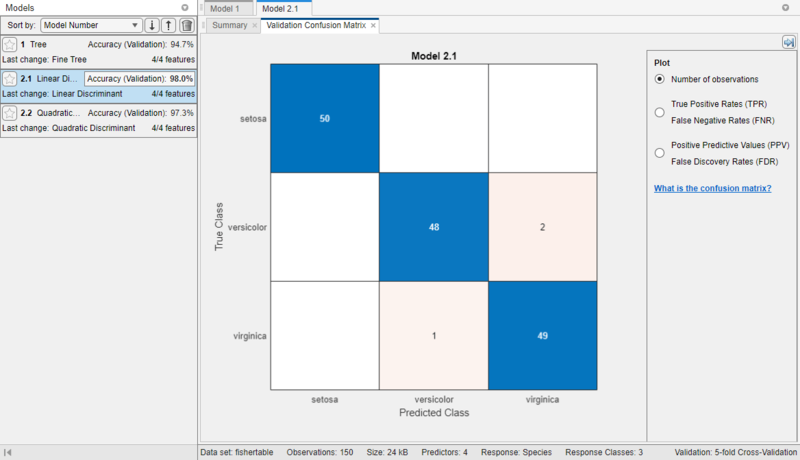 In MATLAB®, load the fisheriris data set. Use the scatter plot to visualize which variables are useful for predicting the response. Select different variables in the X- and Y-axis controls. Observe which variables separate the classes most clearly. To train both discriminant analysis classifiers, on the Classification Learner tab, in the Model Type section, click the down arrow to expand the list of classifiers, and under Discriminant Analysis, click All Discriminants. Classification Learner trains one of each classification option in the gallery, linear and quadratic discriminants, and highlights the best score. The app outlines in a box the Accuracy score of the best model. Select a model in the History list to view the results. 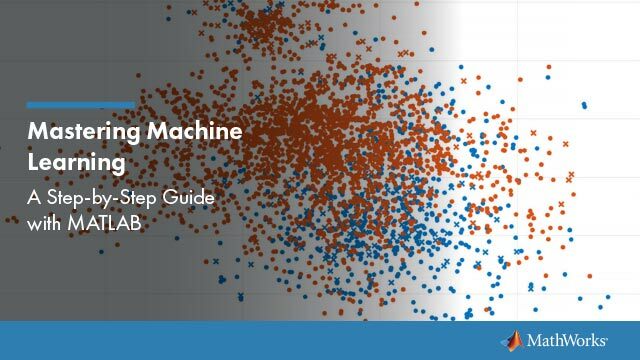 Examine the scatter plot for the trained model and try plotting different predictors. Misclassified points are shown as an X. Select the other model in the list to compare. For information on the strengths of different model types, see Discriminant Analysis. Choose the best model in the History list. To try to improve the model further, try changing classifier settings. On the Classification Learner tab, in the Model Type section, click Advanced. Try changing a setting, then train the new model by clicking Train. For information on settings, see Discriminant Analysis.